iana G. Gallagher lives in Florida with her husband, Marty Burke, four dogs, seven cats, and a cranky parrot. 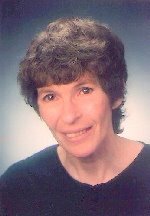 Although Diana had always wanted to be a writer, she spent several years teaching kids to ride horses and then spent a few more as a professional folk musician. When she discovered science fiction and Star Trek via Star Wars, she not only discovered what she wanted to write, but also an outlet for expression in music and art. While diligently pounding out a few million unsold words, she gained a certain notoriety among SF fans and space development advocated with her songs about humanity's future in space. During the beginning stages of writing The Alien Dark (TSR 1990), her first published novel, Diana also tried her hand at whimsical fantasy art. What began as a means of paying convention expenses and having fun soon developed into a full-time artistic endeavor. Best known for her hand-colored prints depicting the doglike activities of Woof: The House Dragon, she won a Hugo for Best Fan Artist, 1988. However, when The Alien Dark finally sold, Diana decided she had to concentrate on writing. She has written more then forty novels for all ages in several series, including Buffy the Vampire Slayer, Charmed, Sabrina the Teenage Witch, and Star Trek. Leaves a vengeful spirit to roam. To restore peace within the home. It's wicked fun! Diana's newest book in the Charmed series shares the sisters' adventures as they celebrate Halloween. Camp Can't (Claudia Cristina Cortez) Thirteen-year-old Claudia wants to prove that she should be a junior counselor at Blue River Camp next year, but first she must face mean girls, the boy she has a crush on, a seven-year-old rascal she often babysits, her own bad luck, and a challenging swimming test. Dance Trap (Claudia Cristina Cortez) As a member of the seventh-grade dance committee, Claudia tries to find a way to convince the boys to attend the dance, which she knows they will not do if Anna, another committee member, gets her way and makes the event semi-formal.